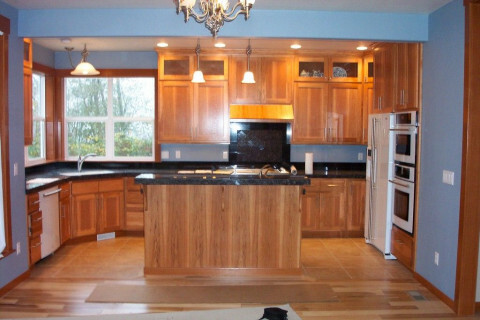 Click/tap here to find the best Enumclaw, Washington home remodeler for your needs! worked on 2 million dollar houses to small jobs like installing a new toilet. What's important is quality work and getting it done on time and budget. Hi I'M a small remodeling company that takes pride in our work and service. My goal is to make every customer a happy repeat customer. I have 24 YRS. Exp. in the remodeling field. I design kitchen and bathroom remodels. I do custom cabinets,built-in cabinets,Mantels,and mis. wood items. I do carpentry,sheetrock,painting,countertops,flooring,windows and doors,light framing,standard to custom decks,arbors, and more.